Grannies are powerful people in the lives of their grandchildren. Whether they are cross or cuddly, their words and deeds loom large in our childhood. Each one of them has a particular talent that we remember. My small granny's special gift to me was that she made me feel special and important. When she was with me, she gave me her full attention. She created a safe haven for me in the troubled world. No matter what happened I felt loved and accepted by her. When there was pain in my life, she offered me no answers and I expected none. Every single day, I knew my small granny loved me. And my small, shy, humble, sweet, gentle granny, did the same with each one of her grandchildren. It is only now, as an adult, that I see this clearly. Each one of us felt like 'the only one.' The power of her love was so strong that this is how we felt. Today I marvel at her love. It was so big and deep and wide that it encompassed us all. But each one of us felt a special bond with her, at the same time. We never had to compete with each other for her love. Each one of us had a special place in her heart that belonged to only us. ​My small granny you are always in my heart. This blog began in 2012 with my grandmother and it is fitting that it should end with her too. Granny always said that the world I was growing up in was different to hers and that I would have to find my own way in this new world of mine. There will be thoughts about finding my way in this crazy world with influences from genealogy research, social justice, my complicated family and the unknown things I will find along the way. I do hope you will join me on this new stage of my journey. Thank you for your company so far. It has been a pleasure to get to know you and even unexpectedly find friends among you. 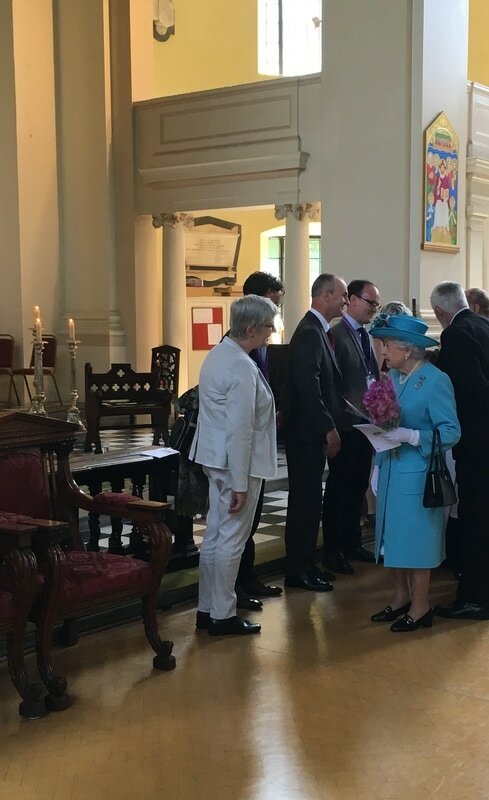 On June 17th 2017 I met Queen Elizabeth of England at All Saints Church in Poplar, East London. I couldn't help but think what my small Granny would say if she could see me now. I think she would have found it hard to believe that her granddaughter would find herself in such exalted company. Her granddaughter was feeling the same! The sweetness of Queen Elizabeth's smile reminded me of my grandmother's smile. The kindness of her words reminded me of my grandmother's kindness. I felt deeply aware of the humanity of this woman, Elizabeth. She is after all a ninety year old woman who walks slowly and carefully and who has known her own share of life's tragedies. Yet every day she 'suits up and shows up' to fulfill the many responsibilities that life has placed upon her. And in that sense she and my Granny have much in common. The occasion of our meeting was a Memorial Service for eighteen children who died in Poplar, East London in 1917 when their school, Upper North Street Primary School, was bombed. Among them was John Percy Brennan, aged 5, whose father was a policeman from Shankill, Co. Kilkenny. A survivor of the bombing was Mary O'Donnell Cunnington a school teacher from Tralee. Mary was later awarded an O.B.E. for her courage in rescuing children from the bombed out school. I was asked to help find the Irish cousins of John and Mary. 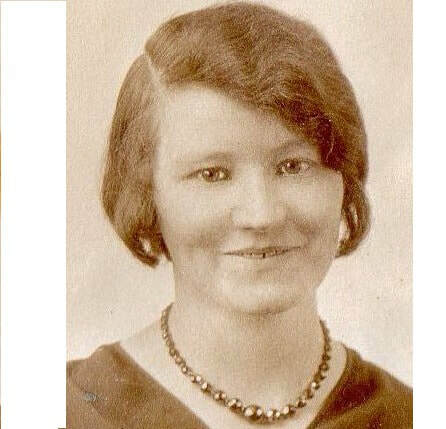 With the help of Deirdre Walsh from Radio Kerry, Mary's maternal Irish cousins were found. Though sadly we did not succeed in finding John's Irish family, as yet. The Memorial Service was beautiful. My Granny would have loved the words of the prayers and the singing of the children. ​She would have worn her ' good shoes' that always pinched and her special occasion hat. She would have noticed how each one of the V.I.P. guests made it clear in their words and deeds that they were present to remember the children and to sympathise with their families. I think she would have been proud to see the Queen shake her granddaughter's hand. In her humility, she would not have seen her own kindness in her great-granddaughter. Granny would have relaxed into the sense of community that we all felt, families and volunteers alike. She would have felt really well taken care of by Arthur Redway and John Dadson, the Church Wardens. She would have run her prayerful hands over the names of the children etched on the commemorative coin. 'Let us commit ourselves to responsible living and faithful service and to work together for peace, with justice in the world. Will you strive for all that makes for peace~We will. Will you seek to heal the wounds of war~We will. Will you work to protect all children in the world~We will. Will you work for a just future for all humanity~We will. She would have been glad to receive that reviving cup of tea with the Hannafin family in the Park. Granny would have gone home then on tired, sore feet and told the hens all about her travels, as she always did. My sincere thanks to all the community of All Saints Church, Poplar for giving all us, of many faiths and none, the opportunity to come together and raise our voices as one for a better future for all our children. I will not be celebrating Patrick's Day this year. All I can think about are the 796 babies and small children who died in Tuam, Co. Galway. I have no shame in admitting, after I read their names and ages, I sat down and wept .... and not only because some of the children bear my family name. I am baffled and bewildered that there should even be a question or a debate about the need to identify their poor little bodies, and return them to their families to be buried with dignity and respect. In every other imaginable national disaster there would be no question about the cost. There would be no question about what is the right thing to do. I am beyond tired of politicians using the words 'tragic' and 'shocking'. We can debate the 'issue' forever (and that phrase alone makes my blood boil, these babies are human beings not an 'issue') but if we all quiet down for just five minutes the answer is obvious. After 9/11, heroic people came together and made every effort to return the bodies of loved ones to their families. What in the name of all that is good and true is the difference between the innocents who died in 9/11 and the innocents who died in Tuam? They were both the victims of acts of terror which gave their lives no thought or consideration. It does not matter if one crime was committed in America and the other committed in a small town in Ireland. What matters is that the innocents who died in America were treated with dignity and respect. Let us do the same in Ireland. There is so much despair around me everywhere I go, in person or online. I understand despair; the feeling of not being able to breathe, the feeling of not knowing where to turn, the feeling that the world has turned upside down on it's axis and that nothing is as it should be. I understand hopelessness; that all my efforts have availed me nothing, the crashing knowledge that something has happened that is completely outside of my control, that I cannot change what has happened and that I must live with something that I find soul-detroying. I understand fear; the kind that visits us in heart wrenching dreams and greets us in the morning when we wake. I understand because I was there in 2004. I hobbled around for a long time, dragging myself through each endless day, and night, unable to think or plan or hope. Unable to find comfort in anything. One day, I realised that I could not go on like this. I turned away from books and began to focus on really small pleasures; a good cup of coffee in the morning, a robin dancing on the clothesline, a beautiful family photograph, writing a letter. I gradually realised that these simple things were grounding me in life and living again. I began to feel a slow unfurling of my frozen self. I began to find pleasure. I began to feel a purpose in this life. As time went on, people asked me how did I do it? How did I climb out of despair? So I wrote it down. I wrote down what I had learned about creating a life out of despair. I wrote it simply as a series of suggestions written clear and bold on a clean white page without much commentary. I wrote the kind of book that I needed in my despair but could not find. I wrote about how the repetition of small, seemingly insignificant tasks can bind up a broken spirit. I wrote from my experience that these small tasks have a cumulative effect. I made the book small so that it can fit in a pocket or a handbag and be carried around easily if needs be. I made the book bright and colourful because everything seems so grey when we despair. There are many people in despair in our world today. But not all of them are ready just yet to climb out of it. Maybe you are a person in despair.... I hope you can hear me when I say that there is a way out. With all my heart, I wish you a safe journey out of your despair. And if these words or my Book can help you then I shall be very glad. At times the air in the room hummed with a vibrant, guttural sound. At others, a sigh escaped from many mouths and tears quietly filled the eyes of the listeners. of many minds working and hearts moving into deep and usually untouched depths. and moved us into spaces where we felt heard and understood..
in some new and different place. I grew up in a white world. I had three childhood experiences of meeting Black people. Sometimes 'mission priests' came to our parish to visit and say Mass. At Lent we saved money for the 'Black babies' in Africa. Later, two Black children came to the local orphanage and then one day they were gone. Later again, our neighbour's son brought home his fiancee from England. She was a Black woman. None of us children had ever seen a Black woman face to face so we visited the house often. We overheard our parents talk about how hard life would be for them as a couple because of their 'differences'. One parent went so far as to say that she 'pitied their future children' for how hard their lives would be. My parents talked about their time in London and how hard it was to find a place to live with all the signs that said 'No Blacks, No Dogs, No Irish'. In university I made friends with a Ghanaain woman. She was a lovely, warm, open woman and a good friend to me. In the 1980's I went back to London, an economic migrant like my parents. In London I became more aware of being Irish than I had ever been. I learned that I had to be cautious about what I said and where I said it. I learned that there were places where I was welcome and places where I was not. This was a defining moment in my understanding of what it is to be Black in a white world. When people say Genealogy is boring they just don't get it! I leave a beautiful legacy for those who will come after me. I honour those who lived short lives but were much loved. I find those who were lost and reunite them with our family. or even long lost family. sometimes I can be a witness to a reconciliation made possible by the passage of time. It is one hundred years since men and women in Ireland dreamed of a just Ireland, an Ireland independent and free. It is one hundred years since men and women in Ireland made a brave or foolhardy decision, ( depending on your politics) that they were willing to die rather than accept the staus quo. We are the grandchildren and the great grandchildren of those men and women. We have inherited an Ireland both beautiful and ugly. Our willingness to contribute more per head of population to famine relief than any other country in the world. millions of men and women who went without in countries far from home to support large families back home or the buying of a family farm. women who went in secret to England to have abortions. After the Civl War, many of our grandparents and great grandparents took on a vow of silence. They saw only one way forward, that we should 'leave sleeping dogs lie', forget the past and move on and away from their wounds. With hindsight we can understand how they felt this was neccessary in order to rebuild our country. Our grandparents' silence bought them safety from revenge violence and killings. However, that silence, that secrecy, has permeated our whole culture and made it possible for a new generation to be made into victims of the most painful injustice. In the midst of all the inevitable rhetoric of 2016, I believe that we have an opportunity, an opportunity to undo the violence of silence. As we piece together a more balanced picture of 1916, not least in terms of the role of women, we also have the opportunity to ask ourselves some searching questions and take significant action. Is the Ireland we have right now the Ireland we want? What kind of Ireland do we want? What small thing can each one of us do to build a better Ireland? We have an opportunity to open up our minds and to find and use our voices. Together, we can make 2016 more than a wonderful pageant. Together, we can make 2016 count. Anger is still a tricky issue for women in our world today. We have all had experiences which showed us that it was not safe to express our anger. Many of us have been told we are bitter and vindictive when we are simply telling the truth. We are taught that truth telling has no place in many of the situations we find ourselves. The truth is often unpalatable. It is most unpalatable where people are invested in a lie. But there are some things that are fundamental about Truth. Truth is the foundation of all human virtues. No other virtue can stand if truth is absent. Truth will out in the end... though it may take what feels like forever. Truth will ultimately overcome all lies. Truth is a pre-requisite of justice. Name any unjust circumstance in the world and you will find a lie underpinning it. Truth makes many people uncomfortable. It rattles cages and challenges prejudices. Truth will be ignored if truth tellers do not speak it. To be a truth teller is to have a challenging occupation. It is time consuming, terrifying and fraught with danger. Truth telling is a deeply spiritual calling. It requires a digging deep in oneself that is not for the faint-hearted. Being a truth teller has wide-reaching and unforeseen consequences. Very few cultures acknowledge and respect the role of truth tellers in their midst. This means that many truth tellers feel alone. But thankfully, we are not alone, those of us who have made a commitment to Truth. We are hard-pressed at times but we are not alone. Whether we fight injustice in a family situation or on a global stage, we are not alone. Our anger energises us, even as we struggle with how best to express it. We do not always succeed in our efforts. In the eyes of the world, we do not always 'win'. But every time one small voice says 'No, this is not right' we become one with all the other small voices. And the trickle becomes a stream and the stream becomes a river and the river becomes an ocean. 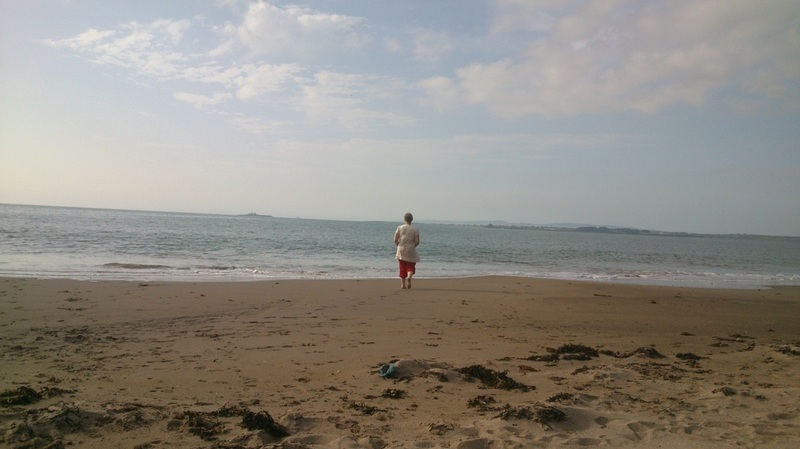 ​And we do not despair...... as long as we remember that we are part of the ocean. But I often think about what it must be like for someone who does not know where they are from. What is it like for someone who does not know their roots? My knowledge of myself is rooted in my knowledge of my family. I cannot imagine a world where this is not so. I believe it is the right of every human being to know where they come from. I believe this with every fibre of my being. This knowledge of identity is a basic human right. ​We may not all agree with the 'how' of it, but whatever walk of life we find ourselves in, I believe it is incumbent on us to support those who are being denied this most basic of human rights. During a recent enforced rest period I picked up The House on an Irish Hillside once again and like a good wine it does not disappoint! 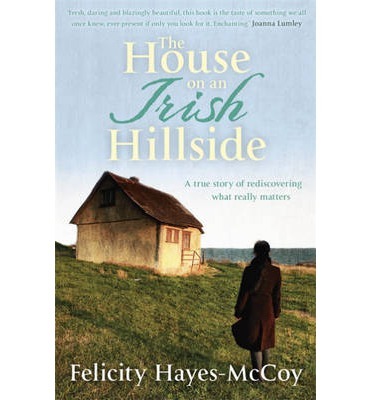 Felicity Hayes-McCoy evokes the interweaving of landscape, language and community ties that those of us who left Ireland for any length of time know in our bones. We may be shy of speaking of it, and at times embarrassed when others do, but this is what we yearn for when separated from it. For we belong to this land, it does not belong to us. And we feel the call of this land even though many of us feel foolish saying it. Felicity articulates all these thoughts and feelings. We feel that we walk the roads and hear the sea, and smell the flowers as we read her words. We become lost in the world of home. My favourite chapter has to be 'Who you are is where you come from' where Felicity explores the tapestry of our Irish identity, where it comes from and how we express it. 'When people meet, they try to place each other, and they'r not happy til they find the links that join their story to yours. As the chapter continues and Felicity tells us the stories of the townlands and villages, the family historian in me becomes excited knowing that out there across the ocean, there are those who belong to Cathar na gCat and Marthain. And they are finding their way home. So if you call Ireland home, this book is for you, read it slowly, read it aloud, read it more than once and let home enfold you among it's pages. I grew up in an Ireland where many jobs closed to women upon marriage and contraception was unavailable to the majority. 'Mixed marriages' (marriages between Protestant and Catholic) were frowned upon and children in the state/church system were systematically tormented and abused. This was the way it was and we were told to accept it. Women were second class citizens and gay people didn't even get a mention. A young man, son of a neighbouring family, came home from England engaged to a Black woman. It was the talk of the town. Equality was a word we never heard. It simply didn't apply to us. Our world was narrow and mean. And those of us who did not qualify as 'normal' whatever the reason, lived lives of terror and endless pain. Women had trouble with their 'nerves' and were put away in asylums and men drowned or hung themselves for no apparent reason..or a least none that we were allowed to talk about. This is the Ireland that I do not love. This is the Ireland that makes me ashamed to be Irish. This is the Ireland that I do not want for my children. So today I cry because I am hearing that I am not alone in wanting change. I was such a painfully lonely child in a sea of children just like me though I did not know that then. Today I am crying for the child I was and crying because I would give anything so that my children would never know the pain of inequality. I don't want to go to any more funerals of young people so battered, bruised and forsaken that they see no way out but to kill themselves. Make no mistake, a YES vote today will save lives. I just had to write to you to clear up some misunderstandings about what a YES vote means in the Marriage Equality Referendum. I want to make you a promise that no-one will ever force you to marry a man, if you are a man, or a woman, if you are a woman. Also I can promise you that you will never be forced to attend a gay marriage ceremony nor a gay stag or hen night. YOUR Civil Rights will never be negatively affected in any shape or form. You are a first class citizen of Ireland with the right to marry if you choose, and the right to protect your spouse and the place he or she has in your life even when you are no-longer here. A YES vote will not make your sons and daughters gay. It will not ruin the fabric of your family life. A YES vote will mean that people who are probably not related to you in any way, the second class citizens of Ireland, will be able to have the same right to marry as you. YOU will never have to participate in these ceremonies. Their decision to marry is NOT CONTAGIOUS. I sincerely hope that now that you know that a YES vote will not harm you in any way that you will vote YES for those of us who have family and friends who are gay and would love to have a day out and an excuse to buy a big hat! PS Your comments are welcome but given the ferocity of some peoples' reactions I reserve the right to decline comments which are aggressive or hate-filled. But for the intervention of the Vincent de Paul, my little girl and I would have been on the street. Money is tight again this year for most of us. But maybe you have blankets or sleeping bags you can hand into your local Vincent de Paul- shop. Whatever you can do, please do it. Do it for the women and children who are no different from me (or you) except that they have no home this Christmas.